No other part of a house gets as much spotlight as the door. Call it as a home’s handshake or a shield to keep out would-be intruders; a door plays a vital role in any home. Counting on it to make a first impression for your abode, you put a great pact of trust in your door. So, a door is much more crucial for a house than it’s normally given credit for being. Your door should be beautiful to make your home feel welcoming from the first glance. However, it should also be durable enough to withstand any challenge your climate might bring. But with a plethora of options to choose from, selecting a door can be a bit overwhelming. Keeping that in mind, here we have compiled a complete guideline on how to choose a front door. No need to say, the door you choose should architecturally fit with the other part of your home. But how about making this facet convey something about you, as well? If you are more into the traditional style, the classic wood-paneled door may be your thing. However, for an artistic spirit, an arched door with decorative glass is the way to go. Need something more whimsical like you? Go for some creative and unique designs that speak to you. Picking a door that will express your personality is a great way to earn some serious style points for your home. For smooth front door installation and proper functioning afterward, picking the right sized door is crucial. Standard doorways are usually 32″-36″ wide, but there are also extra wide doors that can extend over 40 inches. You can even opt for double entry door as per your need. Look for the option that will fit your frame and make sure to measure it carefully before picking any door. While shopping for a new door, you’ve to grapple with a lot of factors from style to finish. But there is one most important decision that can’t be ignored that is the material. An ideal door should blend sturdiness with ease. It must be easy to open but sturdy enough to ward off severe weather. This is what you are going to get from a wooden door. Being versatile and durable, the wooden door allows you to carve or paint any design without sacrificing the door’s weatherproof integrity. But, remember, it is expensive. Fiberglass is another material commonly used for doors. 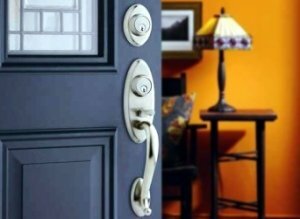 The inexpensive and hard-wearing material can make your door serve for years without touch-ups. Fiberglass is the best bet for the harsh climate. It is paintable too, so you can personalize it the way you want. The durability and ability to offer the greatest amount of security make the steel an ideal choice for any modern home. Moreover, steel insulates more than wood and also make a more affordable option. However, it may need frequent trade-off in its lifespan. It’s easy to go over budget when it comes to home improvement. Especially when the costs are not estimated from the beginning, you could end up with making costly mistakes. So, once you decided to buy a new door, determine what you’re comfortable in spending. Like other investment, purchasing a door will have an up-front as well as a long-term cost. Pay attention to the energy efficiency, durability, and requirement for maintenance of the front door types you are selecting. 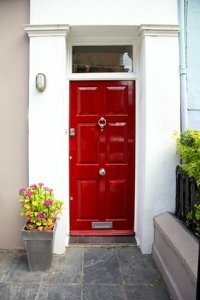 Buying a front door with good looks and value can be a solid investment with a decent payback. Follow the above guideline to choose an ideal door that is more inviting to your friends and family, to knock, and come on in. Finally, when you get your perfect door, you’ll need to install it. 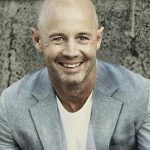 So, if you’re not sure enough to undertake it yourself, take the help of our affordable and dependable door installation and locksmith services at King Locksmith and Doors, Inc.
How to Choose the Best Door for Your Home https://kinglocksmiths.com/choose-best-door-home/ Sorry, this post does not have any ratings yet.